The current Vintages release features 15 Southern Rhône reds from the widely acclaimed “historic” 2007 harvest. Reds from the region tend to be dominated by Grenache grapes, but up to 19 varieties are possible in some of the blends. 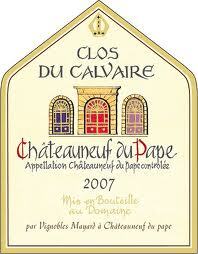 At the top of the wine chain are the Châteauneuf-Du-Papes normally, plus single village wines from Gigondas, Vacqueyras and others. While tasting through them I did find lots of up-front fruit, but the entire category suffers from a lack of elegance. Some are rather rustic and coarse.